Bricks Conference Pod is a flexible and un-fixed soundproof meeting solution for offices that are restricted by too few meeting rooms or can’t add partitioning due to building restrictions. Bricks conference pods solve this problem as they are self-supporting, flexible and require no fixings to the floor or ceiling. The standard Bricks conference unit provides a sound isolation space of 3.1 x 2.8m for 4 to 6 people, perfect for meetings or team brain storming. 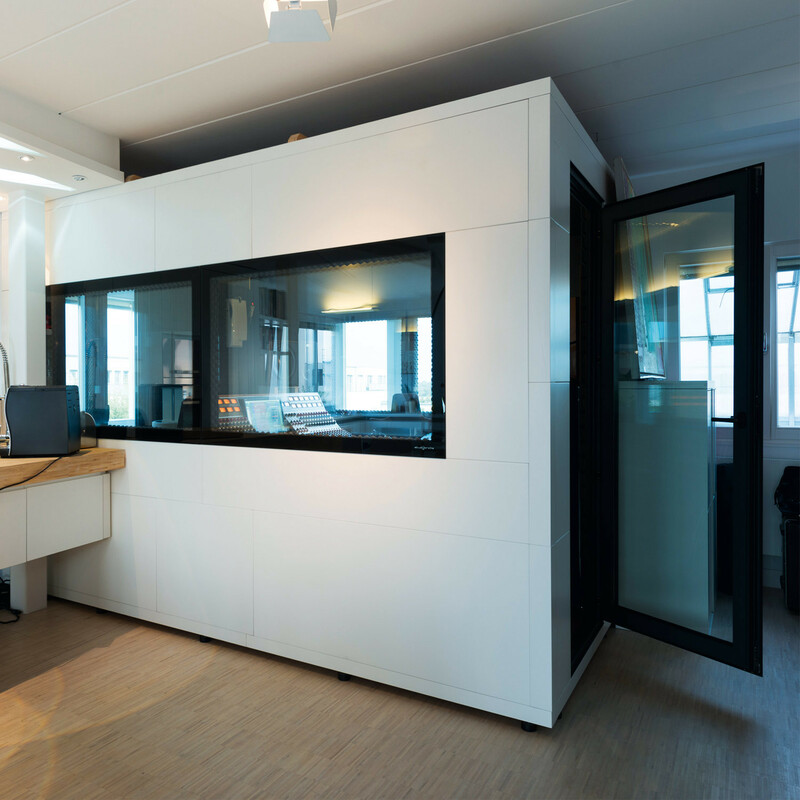 With innovative double-walled construction, inspired by acoustics used in the music industry Bricks conference pods give you sound isolation. 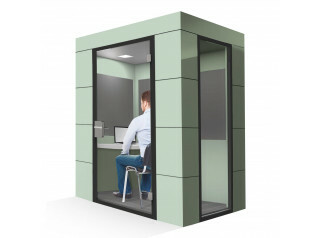 This cleverly designed modular meeting pod ensures no external noise from within the unit is heard and it also maintains privacy inside – keeping conversations in the pod ensuring they won’t be heard from the outside. 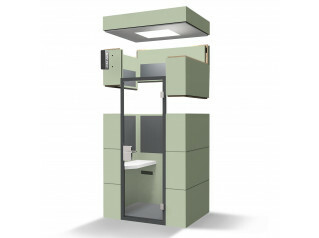 Bricks pods innovative modular design feature individual double walled MDF Bricks, that allow users to quickly and easily assemble and disassemble their privacy pods, without the need for drilling, screwing or bonding. This design keeps costs down after installation giving the users the freedom to move the pod around as they wish without having to call out an installation team. Bricks conference pod brick elements are constructed in seven layers comprised of double skin MDF outers. These layers are bonded using wood glue, then the internals are filled with mineral wool which resembles matted wool and made or inorganic material for sound proofing. 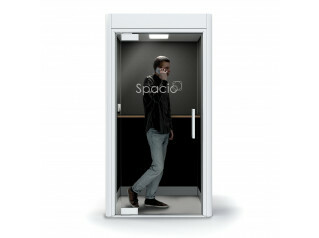 The unique design of Bricks mconference pods allows users to have custom made privacy pods for their offices or spaces. If you have a unique space or require a custom made meeting pod please feel free to contact Apres Furniture. You are requesting a price for the "Bricks Conference Pod"
To create a new project and add "Bricks Conference Pod" to it please click the button below. To add "Bricks Conference Pod" to an existing project please select below.